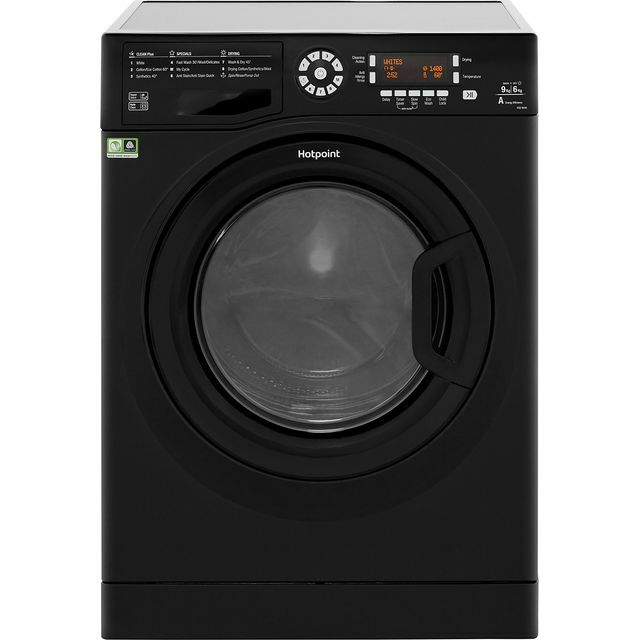 Get through the laundry pile in no time with this black Candy washer dryer. With a 9kg drum, it’s perfect for medium-sized households. It has a clever KG Detector which uses sensors to weigh your load and automatically adjust settings, so it’ll only ever use the perfect amount of energy. 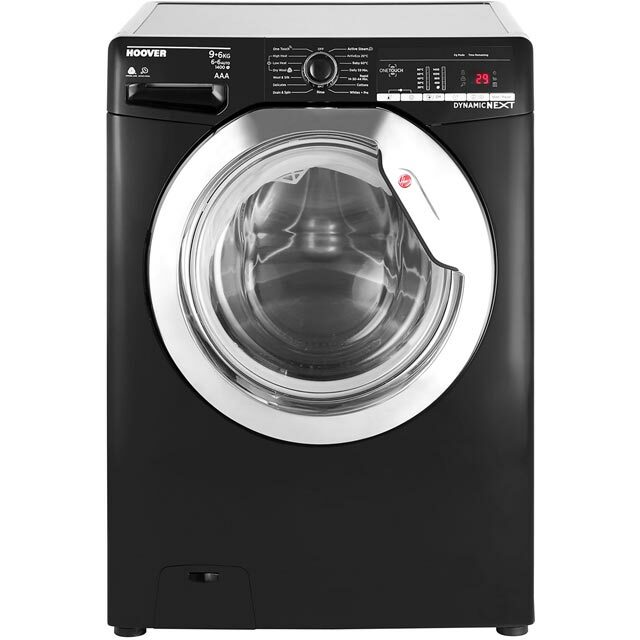 The 3D Dynamic Wash System uses special drum movements and faster spin speeds to give clothes a really thorough clean as well, which makes short work of stains and stubborn marks on your favourite outfits. This model also works with the Smart Touch app, which means you can control your appliance and even download new programmes from your smartphone. 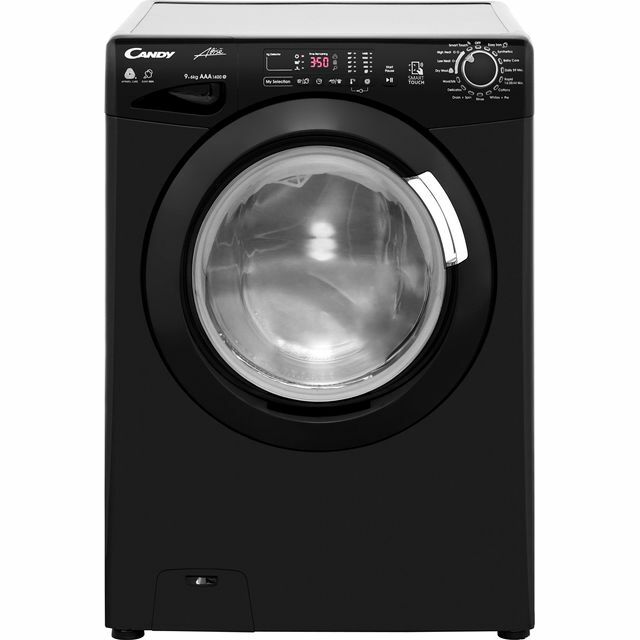 This candy grand o vita washer dryer is a brilliant way to save space in a small house if you don't have room for a washer and a dryer. 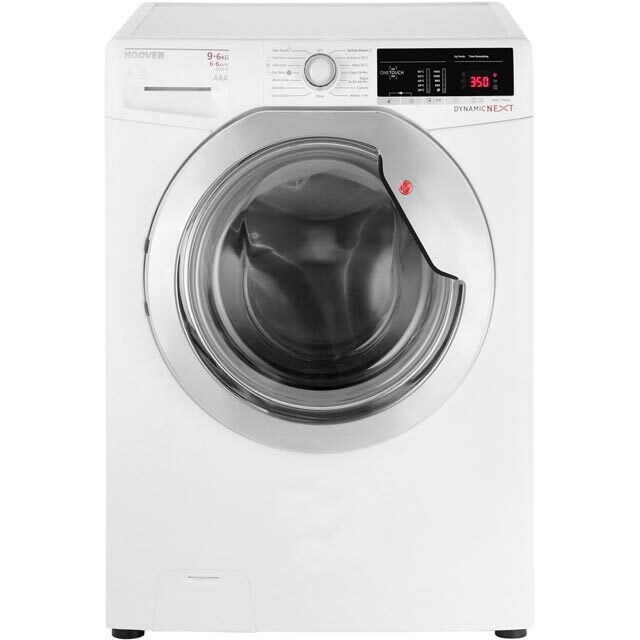 The product itself washes the clothes at a time and temperature that's suitable to you and your clothes needs. There's various different settings also gives you multiple options for drying clothes ideal for the bigger families. 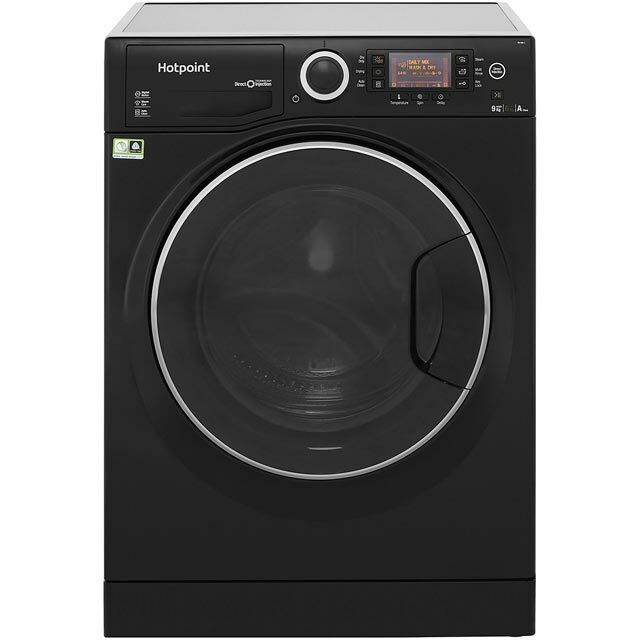 It saves a little time as well so you don't have to be transferring the wet clothes to the dryer.. Also has a smart app which enables you to control the washer dryer from your mobile phone. Overall brilliant. The washer dryer was great does it job and has smart technology so interacts with my phone via NFC. Delivery was a great experience the way customer service should be done. Easy to use. Quiet during cycles and love that there's quick wash options. Great drum capacity and dryer transitions well. The 59mins fast wash is the reason I bought it but it does not rinse properly at all even with less than 3kg load and also the other cycles are extremely long . At the beginning of the cycle on cotton for example it weighs and sets the time according to the load but when it’s 5 or 10 mins left after the very long 2.5 hours cycle the timer changes back to 20mins left ! never been so unhappy with a washing machine. The dryer doesn’t dry properly compare to a dryer only machine.